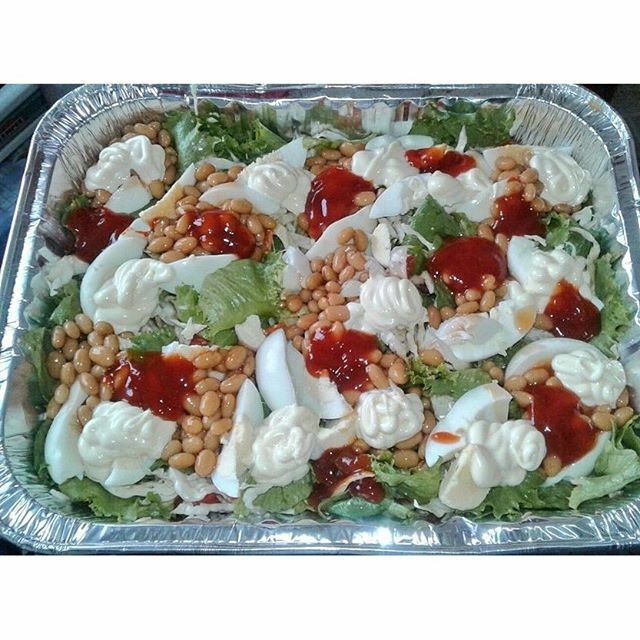 IG: @AfricanFoods: More cream, more ketchup,more eggs, more baked beans. More cream, more ketchup,more eggs, more baked beans. 1. Wash vegetables in brine solution 2. Finely Shred cabbage, cut carrots into irregular medium sizes, cut tomatoes into thin slices. 3. Drain oil off tuna flakes, add to cut vegetables and mix together. 4. Slice eggs into 6 sizes and arrange in the salad in no particular order. 5. Garnish with baked beans in no particular order. 6. Finish garnish with salad cream and tomato ketchup.